Interested in your gut health? 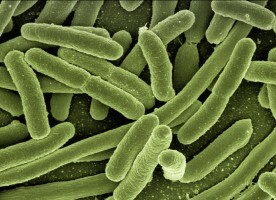 Did you know that you are made up of more microbial cells than human cells? Scientists also believe your microbes play a central role in your overall health and there is growing evidence to show that diet can determine what your gut ‘microbiome’ or microbial population looks like and how healthy it is. Here is a Ted talk by Robin Knight which we highly recommend if this is an area you want to know more about. Want to learn more about Gut Health and how to eat for health? Take an Eatfit Course. This is a 4 session program. It’s a mix of group sessions and individual consultations to make it cot effective, does not compromise on FODMAP education and provides you with peer support. We use an approach called “Eating For Intestinal Tolerance” that is based on the low FODMAP diet. This diet has been proven to be effective in reducing irritable bowel symptoms. The programme explains the diet and offers advice how to exclude FODMAP foods. It also supports patients through the reintroduction stage. It includes meal plans, recipes, dietetic support for 16 weeks and up-to-date research based resources. This programme is 1 session in a group that provides all the tools needed for a healthier, happier gut with an IBS Diet. This programme will provide guidance on what to eat but also how to eat better. We will cover various topics, which include balancing your meals, types of fibre, plant power, prebiotics and probiotics. Research has shown that gastrointestinal health is intricately linked with overall health. This means it is important to nurture your gut microbiome. Interested in your gut health? Did you know that you are made up of more microbial cells than human cells? Scientists also believe your microbes play a central role in your overall health and there is growing evidence to show that diet can determine what your gut 'microbiome' or microbial population looks like and how healthy it is. Here is a Ted talk by Robin Knight which we highly recommend if this is an area you want to know more about.